Animal Wildlife | Nightingale | The nightingale is a small species of bird thought to be formally members of the thrush family. The nightingale is often mistaken for the robin, as the nightingale is about the same size and the female robin is very similar in appearance to the nightingale. The nightingale is a morning bird and the nightingale can often be heard singing it's loud song at dawn. In urban areas, the nightingale will sing even louder at dawn to make up for the extra background noise. The nightingale breeds naturally in the European and Asian forests during the summer months and the nightingale then migrates to Africa for the winter, to it's warmer climates. The nightingale returns north in the spring again to nest. The nightingale is believed to have been named more than 1,000 years ago, with the term nightingale meaning night songstress in Anglo-Saxon. 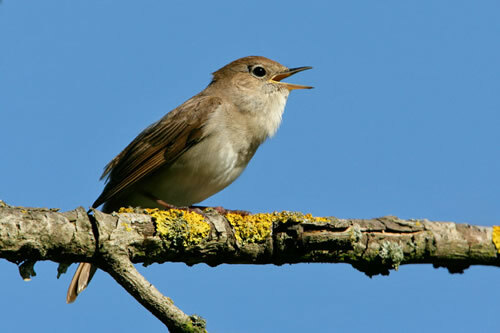 The nightingale was named due to the fact that the nightingale is often heard singing during the night as well as during the day. It is thought that it is the single (unpaired) male nightingales that sing during the night which they do to try and attract a mate. Nightingales are small birds with the average adult nightingale being around 15cm in height. 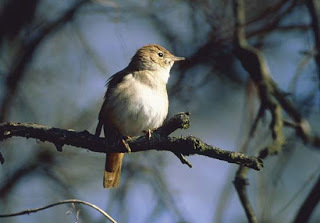 The nightingale has plain brown feathers covering it's body and is known to have a red-sided tail. Nightingales are omnivorous birds and feed on a mixture of fruits, seeds, insects and nuts. 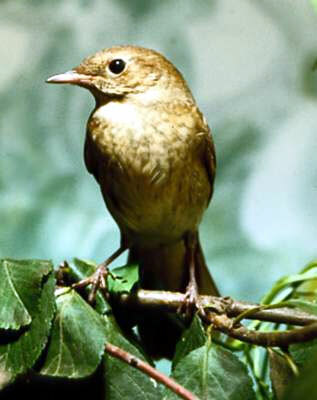 Nightingales have many predators in their natural environment mainly due to their small size. Predators of the nightingale include mammals such as rats, foxes and cats and reptiles like large lizards and snakes. Nightingales are also hunted by large birds of prey. Nightingales inhabit thick forests and woodland in Europe and Asia, excluding those that are in the far north. Despite the large number of nightingales present in their natural habitats, nightingales can often be difficult bird to spot. 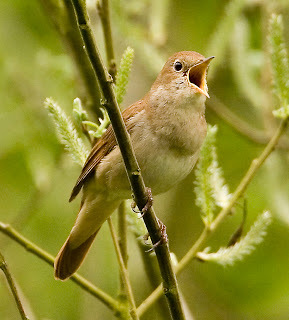 Nightingales can be heard easily due to their loud singing but are often found hiding in dense foliage out of sight. 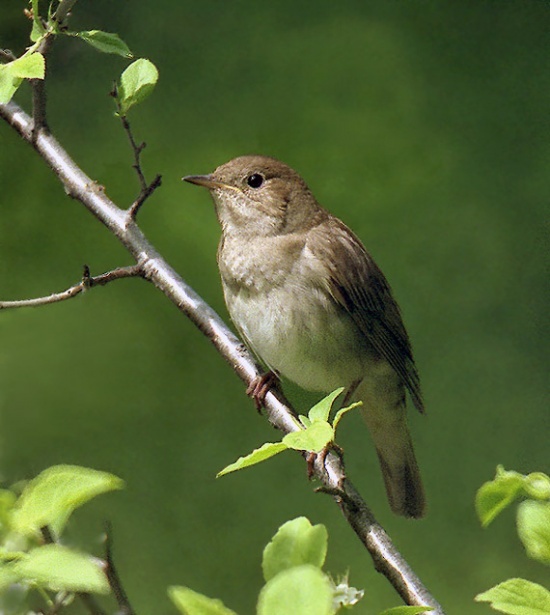 Nightingales mate in the spring, and the female nightingale build a cup-shaped nest in a dense thicket close to the ground. Nightingale nests are often very hidden from the outside world, and are made up of twigs, leaves and grass. The female nightingale lays between 2 and 5 eggs per clutch, and the nightingale chicks hatch after an incubation period of just a couple of weeks. Awesome little singer, and your article about this bird, is great! I didn't know that they would sing louder to drown out background noises. Amazing.